Last PCT team to get a victory this season? So which teams will be the last to get a win this year? Last year Astana were the last WT squad to get onto the top step of the podium, and it wasn't that much of a surprise that of the PCT teams it was Novo Nordisk who were the only winless team in the top two divisions. Lotto and Androni getting both divisons off the mark. New entries should be coming thick and fast for the next couple of weeks. I'm going with Dimension Data and, just to be different although we all know it's Novo Nordisk, I'll select Aqua Blue. ...... and then there were six. Perennial contenders Astana and EF Drapac are joined by the rather more surprising quartet of Katusha, Sky, Sunweb and UAE in the race for the wooden spoon. I put Sunweb for fun but I really think EF Drapac. Astana will probably pull out something from Algarve or Andalusia. I'm shocked I tell ya! Kristoff's win today means that it's Sunweb (the smallest WT team with only 23 riders) that take the honours for 2018. In addition to a tiny squad, what also didn't help the cause is that their three best riders haven't turned a pedal in anger yet. THE PCT winners keep dribbling in, but with some many new teams this year we are at just past the halfway point. Guillaume Martin took the first win for Wanty last week in the Circuit de la Sarthe. yeah, Grosu won in Croatia, and also is off the list with two victories in the Tour of the Gila. Murias actually had quite a good week with Bizkarra being very active in Trentino and 5 podium positions in three stages of the Vuela a Castilla y Leon - so it should be only a matter of time. Asturias this week could offer a chance for them (or the other Spanish teams + Manzana and Fortuneo) while Gazprom heads to Belgrade Banjaluka, as the only Pro Conti team on the start list. Belgrade Banjaluka was of no help for Gazprom but Anton Vorobyev just won the prologue of the Five Rings of Moscow. Soto wins for Caja Rural in the Vuelta a Madrid. And Duarte leads the GC with one stage to come. Would that count as well? Yep GC counts, but no chickens are being counted yet. And though Duarte is on s.t. as the overall winner, he loses it on stage placing countback. Closed GC decision in a long time, I think? Euskadi get a deserved win after a gazillion placings and that leaves us with six teams. - The big foreign signings have done nowt for various reasons. At the moment it's Diego Rubio or bust. - 2018 has been as bad as their 2017 was good. Barguil not looking the same rider. - Very close with Duarte last weekend. Should get a win sooner rather than later. - 37 year old Weening probably still their best chance of getting a victory. I dunno if that says something or not. - Don't see too many stars of the future in the team currently. - Doesn't need explaining. Will need a huge slice of luck in a smaller race. De Pauw and De Ketele will be racing the Rás with a national team of track specialists. Would a win there count for as well? Wow, well done, LB, for getting that updated so soon! Got to be a record for tardiness, that! Burgos get a win from somewhere! Sport Vlaanderen vs Novo Nordisk for the wooden spoon. So close today for both of them. 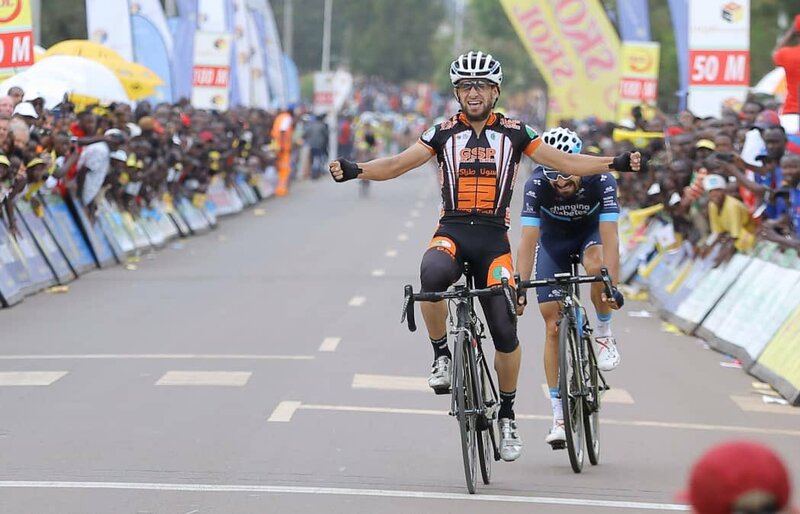 Could be some more chances for Novo Nordisk in Rwanda. Since Megias retired (and maybe even a bit before that as well) he's been their top dog. They should definitely do more .2 races cause who doesn't like winning every now and then.